This workshop is designed for beginners who want the ‘band workshop’ experience straight away or those who don’t want to have one-to-one lessons. This 2 hour class is broken down into one hour of tuition on their chosen instrument and then one hour of fun filled learning in their band environment. Like our Urban Jammers and Retro Jammers workshops, student bands who take part in the ‘School of Rock’ workshop will be invited to play at the numerous events we run throughout the year in both small intimate venues and sold out theatres. Playing in a band and with other musicians is what has inspired our teachers and countless others to make music a career. We want to give that opportunity to every student at The Music Rooms as well as offer it to students outside of our music academy. 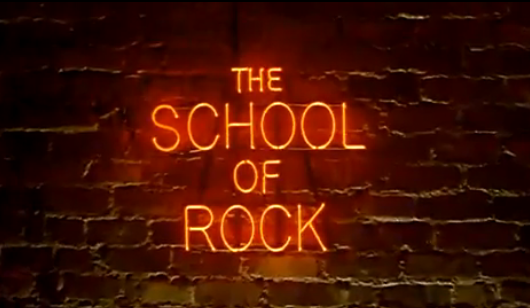 School of Rocl is where the dream of playing in a rock band comes true for beginners. Our Band Workshop gives everyone the opportunity and enjoyment of playing in a band. And with dedicated mentors who develop each band, your band will be rocking out. Not exclusive to Music Rooms students. Learn songs and write songs. Play gigs from small intimate venues to large theatres of over 300 people. Each band gets to work with a top industry professional mentor. To enquire, talk to us, or book onto School of Rock Band Workshop please Contact us today.